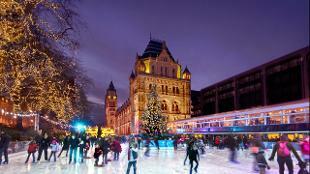 Skate in the magical atmosphere of the Natural History Museum’s open-air ice rink. 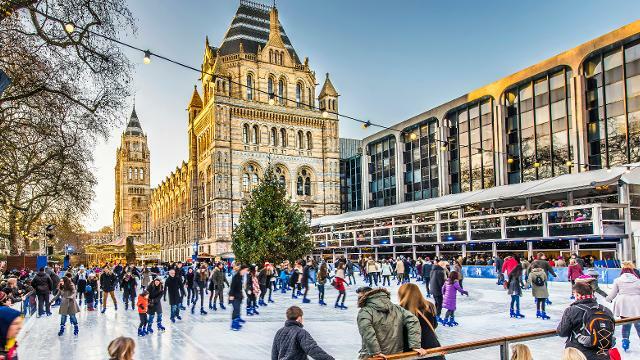 Nestled in front of the iconic South Kensington museum, the spectacular rink is surrounded by thousands of fairy lights and features a glittering 30ft (9m) Christmas tree. 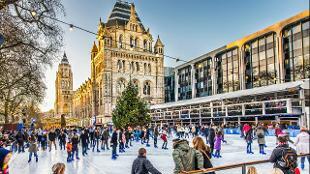 Visit the museum’s alpine-style Café Bar, run by Benugo, for winter warmers, and watch the skaters glide on the ice from the cafe’s balcony. 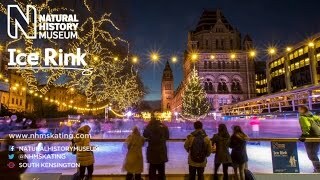 The cafe is also playing host to a series of intimate and free acoustic performances from some of the UK's best emerging talent. 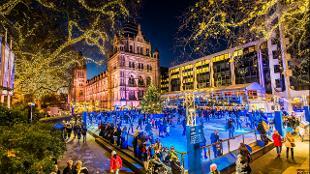 Opening times vary, but most ice skating sessions run between 11am and 10pm, with extended opening hours on weekends. The ice rink is closed on Christmas Day.